Today is History features three contemporary artists who are working with 19th century photographic processes to talk about present day concerns. The show consists of tintypes by Dan Estabrook, orotones by Kate Breakey and daguerreotypes by Jerry Spagnoli. Over the next few weeks, we will share behind the scenes photos, videos and explanations about how each photographer uses these historical processes. We will start by defining and learning how to make a daguerreotype. “Louis J.M. Daguerre introduced the Daguerreotype process to the public in 1839. The Daguerreotype was the first and only successful photographic process until the 1850s. During the 1840s and 1850s, Daguerreotype plates were commercially produced and easily available. The plates were replaced in the 1860s by the Calotype, which were much cheaper and easier to produce. In this video Jerry Spagnoli explains the process of making a daguerreotype. Jerry Spagnoli (b. 1956 New York City, NY) is credited as today’s preeminent photographer working with the daguerreotype, a polished copper plate treated with mercury vapor. Using this material, Spagnoli has photographed significant historical events, including the horrors of the World Trade Center and the beauty of Times Square on the eve of the Millennium. In his 2012 series, Glasses, Spagnoli tackles the reflective quality of everyday water glasses. As he states, “Ultimately my use of various materials and methods is centered in my desire to make complicated stories out of the everyday world, which is my apparent subject matter. Photography allows me to engage viewers with images and ideas which are filtered through the abstracting apparatus of the camera and woven into the matrix of its rich history. You can see all of Jerry’s work includeding Today is History on our website. 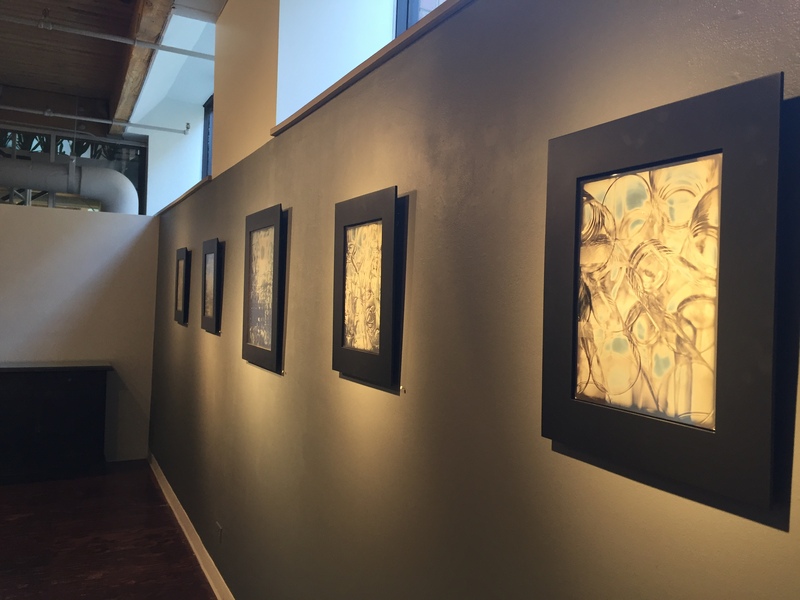 They are also on view at the gallery until December 31!